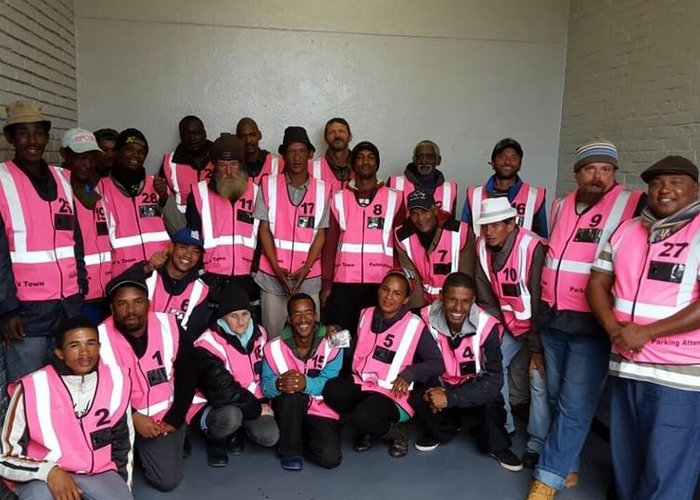 A collaboration between Simon’s Town Community Police Forum, Law Enforcement and the SAPS, has started a new initiative in Simon’s Town that is helping its homeless population start integrating back into society. The program helps to take the homeless and give them productive jobs within society as parking attendants. They work under the guidance of the Kalk Bay Business Association parking attendant initiative. The initiative is helping to reduce unregulated so called ‘parking attendants’ from disrupting traffic, harassing vehicle owners and business’ around the town. A group of people are chosen amongst those who volunteer, they are then split to be managed by three mangers, amongst themselves, along with local law enforcement and CPF, who oversee them. They are all allocated respective areas which they work. The parking attendant each receive on-going training and support, to help them increase their potential income. Those that are chosen as parking attendants all undergo a SAPS street etiquette, 2 days training session. The session touches on how to interact with the vehicle owners, personal hygiene and how to give directions around Simon’s Town. They all have to adhere to a code of conduct and a set of rules and regulations, which if not followed, they will be liable to a disciplinary process.